Prostate cancer impacts the everyday lives of men who are affected by it. Living with prostate cancer can have an effect on their physical status, emotional health, and social life. Coping with this disease by utilizing different strategies can help manage your diagnosis alongside your daily life. Men have used various approaches to deal with treatment risks to their health, and masculinity in the long term. Here are some everyday approaches you can consider when dealing with your prostate cancer. Some males may become anxious about their health and uncertain of how to cope with everyday life and prostate cancer. “Survivorship” amongst cancer has several meanings. It could be living with, through, or beyond cancer. Prostate cancer survivorship can begin at diagnosis and include males who continue to have treatment long-term or who have finished treatment completely. Prostate cancer on everyday life might feel stressful. Frequent visits to the doctor during or even after treatment may grow tiresome. Visits after treatment help to relieve new worries and challenges. Some late effects of treatment may occur, such as fear of reappearance of cancer, sexual masculinity concerns, and financial issues. Every prostate cancer patient has individual concerns and challenges they face daily. As with any challenge, be sure to understand the challenge you are facing, think thoroughly through solutions, ask for the support of others, and feel comfortable with the course of action you have chosen. Some males find it helpful to attend an in-person support group or join an online community. This will allow you to talk with people who have had similar experiences of living with prostate cancer. Another option for finding support can be talking with a friend, family members, an affiliate of your health care team, an individual counselor, or a person from a learning resource center. To improve the effects of prostate cancer on everyday life, make positive lifestyle changes. Men recovering from prostate cancer are encouraged to follow certain guidelines for good health, such as; not smoking, reduce alcohol consumption, eating well, exercise, and managing stress. Regular physical activity can help regain your energy levels. Your health care team can help assist you in an appropriate exercise plan based upon your physical abilities, and fitness level. 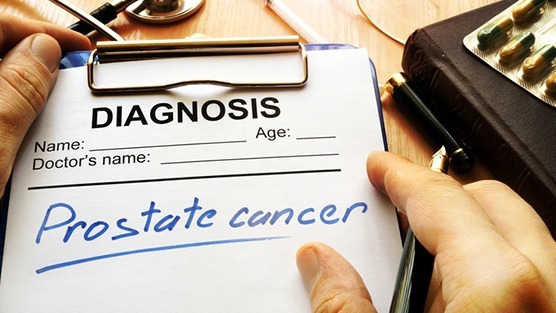 Prostate cancer rehabilitation means any wide range of services; physical therapy, career counseling, pain management, nutritional planning, or emotional counseling. The goal of rehabilitation is to help patients regain control over their everyday lives and remain healthy and hopeful for their future.